The rumors about a potential Sprint/T-Mobile merger (which is to say a Softbank/Deutsche Telekom merger) have been circulating for quite a long time, though they have been picking up steam recently. Now, The Wall Street Journal is reporting that the deal may be close to complete as the two sides have agreed on "broad outlines" regarding a deal which values T-Mobile at $32 billion. Supposedly, the deal could be finalized this summer, and the terms right now have Sprint (aka Softbank) paying $40 per share to buy T-Mobile (a Deutsche Telekom property), which adds up to $32 billion in total. This is slightly less than the $40 billion rumored early in the week. Of course, a deal like this has quite a lot of hurdles to jump even if Sprint and T-Mobile do come to a full agreement on terms. The number one issue surrounding this potential merger is the same issue that caused AT&T's bid to purchase T-Mobile to fall through. This deal would mean even more consolidation in the mobile carrier market, which would mean less competition, and potentially higher costs for customers. Back in January, the US Department of Justice was reported to already be "skeptical" of a deal between the two companies, and it's hard to imagine that much has changed since then. The potential of failure in this endeavor has already been discussed though. 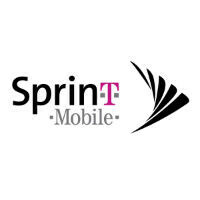 As of now, the deal supposedly stipulates that if the merger is rejected by regulatory bodies, Sprint would owe T-Mobile $1 billion and "other assets". This is quite a bit less than the break-up fee that AT&T had to pay when that deal fell through, which was $3 billion plus a roaming deal. There is always a chance that the deal will be approved though. There is thinking that right now is the time to strike for Sprint, because the FCC spectrum auctions that are happening and the net neutrality debate are working against smaller carriers, and this merger would remove the two smaller carriers from the board and replace it with one that could compete (or collude) with AT&T and Verizon. ... I hope Sprint don't turn T-M to crap. Lol @ new logo. Good luck T-M and Legere. Legere ftw! Not. Gonna. Happen. T-Mo/DT is going to be booking a one-time earning result and Sprint/SoftBank will be taking a one-time hit. Wages of arrogance and what-not for Son-boy. This is actually going to be a good thing because eventually everything will be LTE. Voice & Data. So CDMA & GSM will become obsolete, sooner than later. In 6 short years 3G will be no more. Bank on that! Yea! So lets take the company with the garbage (VERY MUCH EARNED) reputation, and let them buy the company who has been more consumer friendly than any other! Dang...I guess; If it's allow there should be a clause in the deal that requires T-mobile CEO and upper management operate/run the new company for no less than 10 years. Every merger results in higher costs for consumers. I don't know why this is even a "question". Many times, this is the entire point of the merger in the first place. Sprint is throwing money at T-Mobile instead of fixing its own house. The same approach Sprint has used for years and gotten nothing but disastrous consequences. Yup. If everything you say about prices is true, I might have to make my one way trip into a round trip (back to AT&T). Why don't they spend that revenue on infrastructure, liquidate and enhance and provide value for money, rather than buying T-Mobile. So wait, you're saying the current Softbank entity spent that money? Softbank bought Nextel? Softbank had anything to do with Sprint before 2013? You did say year"S". That is why it is a "question", genius. Because Softbank wants to be more competitive and has a history of running competitive mobile telecoms in Japan. Softbank is 3rd in Japan. Likewise Sprint is in a similar position. Is Softbank even doing good in Japan? You neglected to mention more former wage-earners being pushed below the poverty line as a consequence of the merger(s). How else do the financials get made to 'work'? The 1% sure as Hell won't take the hit. If I was the government, I'd demand that every off-shore call center job is returned to the United States as a stipulation of the merger to go through. T-Mobile has horrid call centers, 4 of 5 are off-shore and you are lucky to get a CSR who speaks quality freaking English. 1 in 5 calls gets routed to Kansas if you are lucky. But, the government won't do this because they get their pockets padded by these corporations and would rather have every citizen at their mercy on government assistance. Trash. The level of education reflected in the spelling and grammar from T-Mobile fans is high comedy. I hope the US government doesn't ask for too many concessions. I hope the new company uses its capital to quickly sunset CDMA and make their LTE uniform and robust. I actually don't care for Legere but if he stays, fine. I hope the new company and its new scope can really push AT&T and Verizon with earnings and revenue. And I hope the T-Mobile trolls get over themselves. For months its been painfully obvious what was going to happen. Phonearena his posted multiple articles as well as numerous other sources. This was never a rumor. T-Mobile as it was just honestly lost a ton of money. Even with their subscriber growth recently which more than half of which was prepaid. "The level of education reflected in the spelling and grammar from T-Mobile fans is high comedy." ... "Phonearena his posted..." "T-Mobile as it was just honestly lost a ton of money." "Even with their subscriber growth recently which more than half of which was prepaid." Enjoy the high comedy of irony, much? I mis-typed "his" instead of "has". Oops. Nowhere near as embarrassing or egregious as some of the other post. Everything else was just fine. Thanks. T-mobile didn't lose that much money, it still managed to make billions and fell short by 150 million based on projections of the company if I recall correctly. I assume the losing profits came from T-mobile paying/closing off the contracts of their new customers? As a T-Mobile customer, I would like to kindly say that you're making a hasty generalization, and that you should really read your own writing. Its pretty ironic, given that you're calling us out for the same thing you're doing. Also, I'd appreciate it if you would point out any errors that I may have made. Wait a moment! THERE AREN'T ANY! I have tmobile and if this happens I'll drop them and go to Verizon.